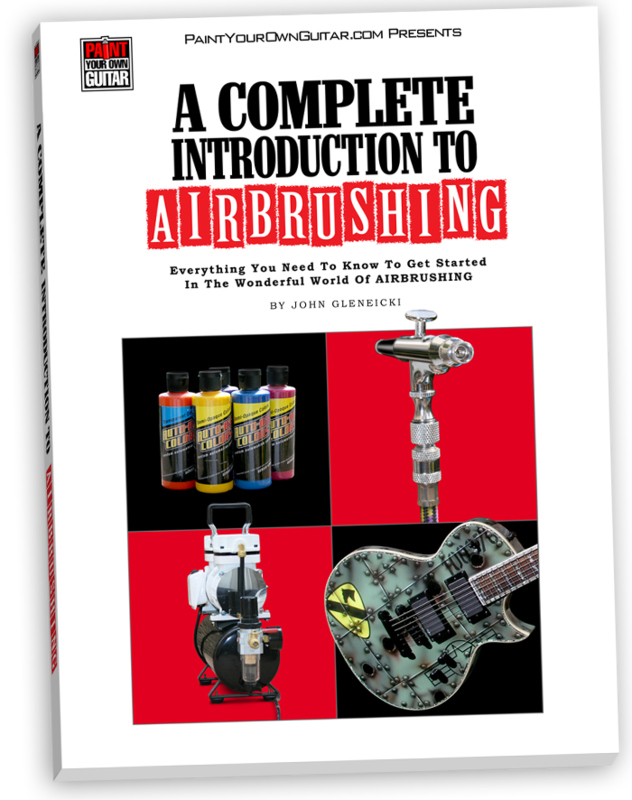 A Complete Introduction To AIRBRUSHING | Welcome To Paint Your Own Guitar! If You’re Interested In Getting Started In The World Of Airbrushing, But You’re Not Quite Sure Where To Turn For Advice, My New E-Book, ‘A COMPLETE INTRODUCTION TO AIRBRUSHING’ Covers The Most ESSENTIAL Information You Need To Begin! We’ll tell you exactly what you need to get started, what you don’t need, and in the process, will save you both time AND money! PLUS, We even give you links to airbrushes, compressors, and KILLER package deals on great starter kits! AIRBRUSHES – John talks about single-action, dual-action, gravity-feed, syphon-feed, what you should start with, what you should stay away from, as well as links to some airbrushes he considers to be very good airbrushes that are perfect for both beginners as well as season pros. SMALL SPRAY GUNS/DETAIL GUNS – John talks about name-brands vs. no-name brands, what features to look for, how to use and set up a small spray gun, as well as links to some spray guns he considers to be very good spray guns that are perfect for both beginners as well as season pros. MAINTENANCE – John discusses how to properly maintain and care for your airbrushes and spray guns, so you, too, can be using the same equipment you purchase now, 15 years from now. With proper maintenance, that is possible. PAINT – John talks about different types and brands of paint, and which brands and types should be used for which surfaces. He also has links to the paints that are best for you to start with. COMPRESSORS – John discusses different types of compressors, what features to look for, what works best for your situation, as well as supplying you with links to specific compressors he believes to be very good purchases. ACCESSORIES – John discusses lots of different accessories – all designed to make your life as an airbrush artist much easier. The book supplies you with links to specific products he uses, and he also shows you his set-up, and how you can put together something similar. WHAT TO PRACTICE? – John shows you several exercises that are perfect for helping you develop good hand-eye coordination as well as helping you develop good trigger control. He also demonstrates how to use transparent and candy color paint to build depth in your work. 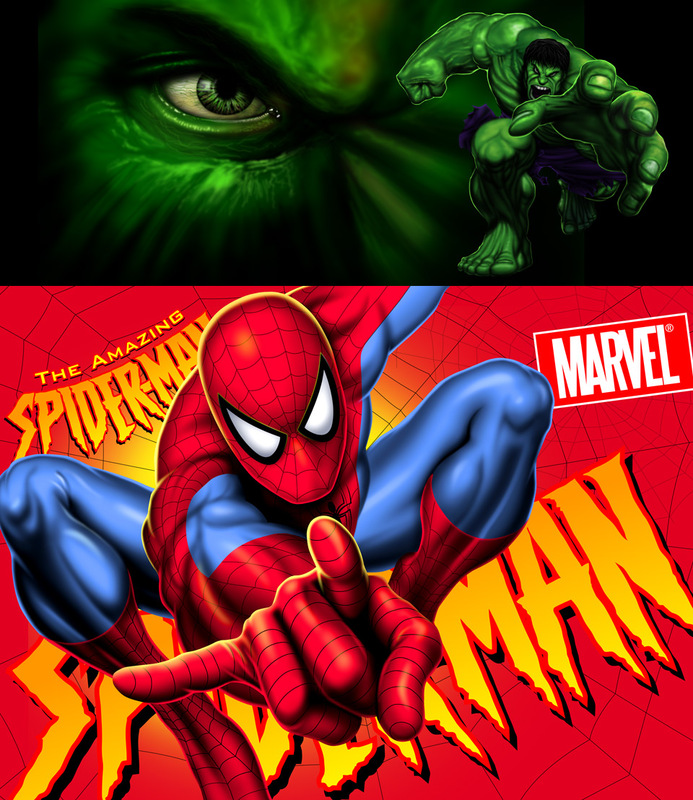 THIS E-BOOK WILL GIVE YOU THE EXACT KNOWLEDGE YOU NEED TO GET STARTED IN THE WORLD OF AIRBRUSHING – WITHOUT OVERWHELMING YOU WITH INFO OVERLOAD. JOHN COVERS THE MOST IMPORTANT ASPECTS OF ALL OF THE TOPICS ABOVE WITHOUT TALKING OVER YOUR HEAD.